Located in Building C of the Vietnam Australia International School of My Dinh II Residential Area, Nam Tu Liem District, Hanoi. It is situated at a convenient location 2km from VNU, 1km from My Dinh bus station and 1km from the National Stadium. Covering a total area of ​​2,457m2, divided into three zones, there is a study zone on the 4th floor, education and scientific research and administration on the 5th and 6th floor. There are 16 large, medium and small-scale classrooms, with eight working rooms for lecturers with a standard of 10 lecturers per room, one large multi-purpose meeting room covering 50m2 and two medium-sized meeting rooms, each 30m2. The large multi-purpose meeting room is a high-standard international online conference room that is fully equipped. There is one mini library serving 60 readers with thousand of specialized books, connecting directly to the VNU library, one self study room for 50 students, nine offices for 70 employees, one canteen and other function rooms. All rooms have modern furniture and equipment imported from Japan, with an international standard synchronized meeting system. There is a modern IT system, with high-speed internet for online TV learning connected with universities in Japan. 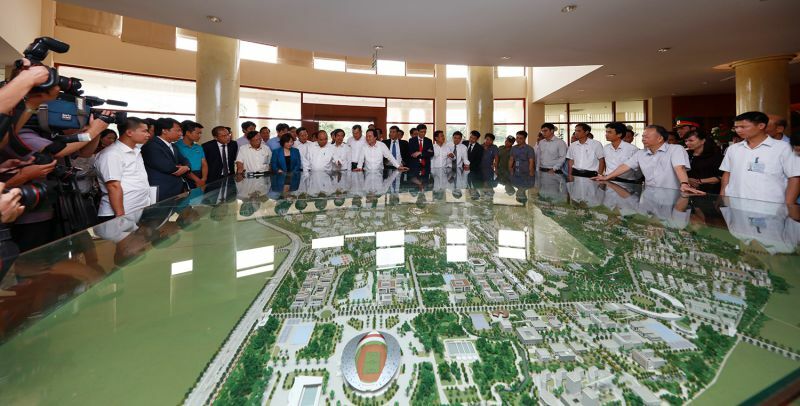 In the future, VJU will has a campus located inside VNU and high-tech industrial park in Hoa Lac. This will be the headquarter of the University. 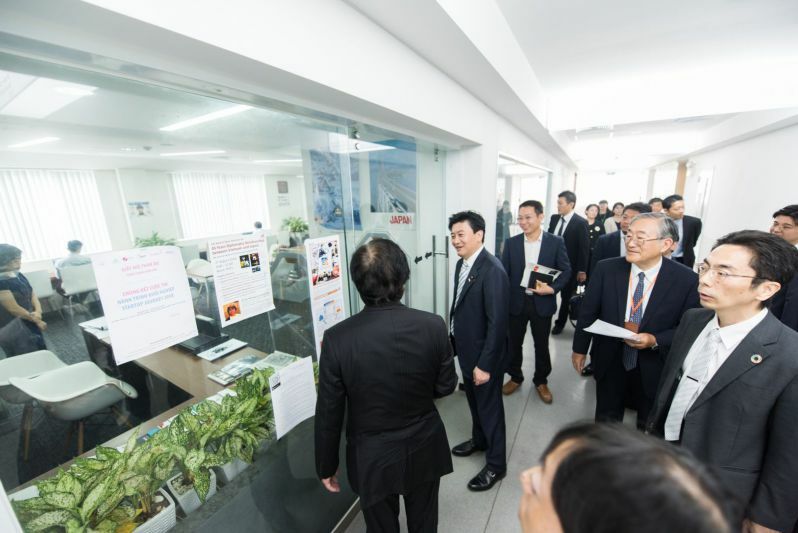 It will be developed into a typical science and technology center of Vietnam with close linkages among the Government, enterprises and universities. With a distance of 30km from Hanoi’s centre to the west, VJU is located on two land plots: a 51ha zone located in the VNU area in Hoa Lac, west of Highway 21A and a 24ha zone located in the Hoa Lac Hi-Tech Park area, east of Highway 21A. These are outstanding locations and prominent landmarks in the new urban areas for universities, institutes and Hoa Lac new city.